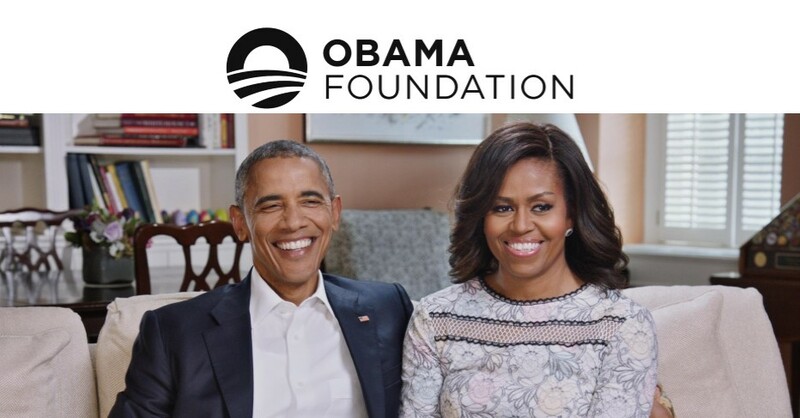 The Obama Foundation Fellowship supports outstanding civic innovators – leaders who are working with their communities to create transformational change, addressing some of the world’s most pressing problems. The program selects 20 community-minded rising stars from around the world for a two-year, non-residential program, designed to amplify the impact of their work and inspire a wave of civic innovation. The Obama Foundation Fellows are a diverse set of leaders who bring a community-centered approach to science, criminal justice, healthcare, education, the arts, and more. Together they model the powerful truth that each of us has a role to play in civic life. The two-year, non-residential Obama Fellowship offers hands-on training, resources, and leadership development to help Fellows scale the impact of their work. Fellows participate in four multi-day gatherings where they collaborate with each other, connect with potential partners, and collectively push their work forward. Throughout the program, each Fellow pursues a personalized plan to leverage the Fellowship experience to take their work to the next level. They are looking for individuals who are working to solve important public problems in creative and powerful ways. This fellowship is for organizers, inventors, artists, entrepreneurs, journalists, and more. It is for those working within systems like governments or businesses, as well as those working outside of formal institutions. Successful applicants have already demonstrated meaningful impact in their communities, gaining recognition among their peers for their contributions. Now, they stand at a breakthrough moment in their careers. They’re poised to use the Fellowship to significantly advance their work, perhaps by launching new platforms, expanding to broader audiences, or taking their work to a national or global stage. If you’ve already gained global recognition for your work or if your civic innovation work has just begun, you may not be the ideal candidate for this program. They have a strong preference for civic innovators who are not currently connected to the networks and resources they need to advance their work. If you’re not sure whether you fit this description, feel free to apply — and make sure to articulate how the resources of the Fellowship would uniquely impact your work. A strong moral character is essential for the strength of this community, the integrity of the program, and the longevity of its value. They’re seeking inspirational individuals who demonstrate humility and work collaboratively with others towards shared goals. Applicants must be 18 or older. They’re looking for participants who are at a “tipping point” stage in their careers, rather than those who fit a particular age requirement.